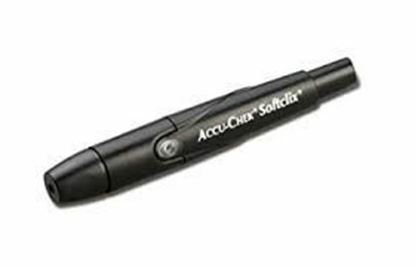 Information about Accu-Chek Softclix Lancing Device The Acc Chek Softclix lancing device uses Acc Chek Softclix lancets to obtain a drop of blood from the fingertip. The penetration depth can be selected to match any type of skin. Personalized comfort: The lancing device's Comfort Dial offers 11 customize depth settings for different skin types. Precise lancet movement: Unique technology minimizes painful side-to-side motion. 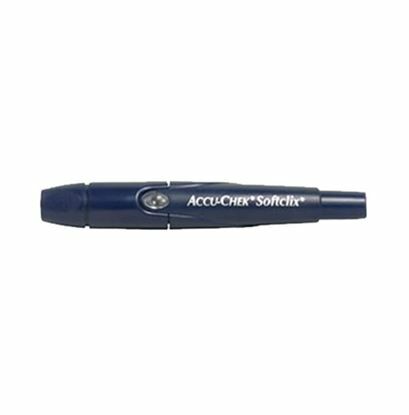 Precisely manufactured lancets: Uses 28-gauge lancets to ensure smoother entry. Less Painful: Uses the technology ,which has been proven least painful. Personalized use: Intended for use by a single person and is not suitable for testing different persons with the same device as this may lead to infections.